South Korean telecom company, KT Corp (formerly known as Korea Telecom), is set to working towards developing the world's first and 5G commercial wireless network on a nationwide scale. The company recently unveiled the 5G Open Lab at its Research and Development (R&D) center on the outskirts of Seoul, which will promote industrial collaborations with both local and global business partners. The lab aims at developing innovative services using fifth-generation (5G) wireless technology. 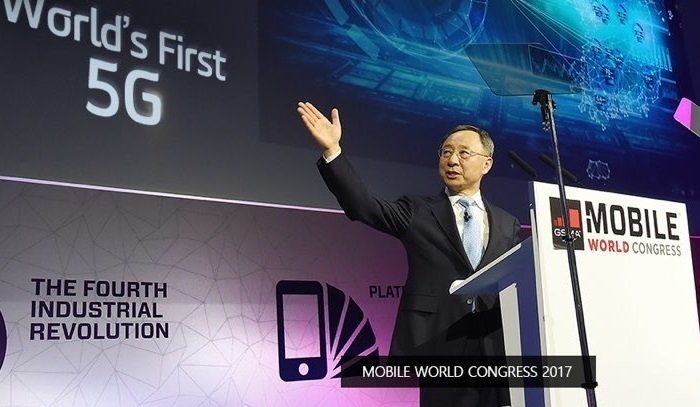 The launch of the Lab marked the 555th day since KT Chairman Hwang Chang-Gyu first envisioned a commercial 5G network launch in March next year, while he was attending the Mobile World Congress (MWC) 2017. To lead the next revolution in technology, KT Group this week unveiled a plan to invest a total of 23 trillion won (US$ 20.4 billion) over the next five years in 5G and other innovative technologies. The 5G Open Lab has three collaborative spaces -- Infra Zone, Media Zone and Smart-X Zone - as well as an exhibition room. Any enterprise interested in the development of 5G services may use the lab to plan, test and verify services. Enterprises can experience various new 5G corporate services and solutions in the showroom. While Infra Zone is dedicated to both the development and testing of 5G-related infrastructure and virtualization technologies; Media Zone will be used for the development of AR/VR, and other 5G immersive media and entertainment services; and Smart-X Zone has been created for the development and testing of application services related to the Internet of Things (IoT). KT has created a website for the 5G Open Lab to provide information about the special collaborative center, such as how to make a business proposal or reserve the showroom. The company also plans to provide its specialized core 5G technologies to outside developers as Application Programming Interfaces (APIs) through a separate website. The 5G Open Lab will be expanded and relocated by the end of this year to Pangyo, one of the country's newest smart cities, just south of Seoul. The expansion will allow the lab to accommodate more startups and corporate partners. The 5G hub will be renamed Open Innovation Lab in the country's new smart city. To spearhead global efforts for 5G development, KT also hosted the Strategic Cooperation Framework Agreement (SCFA) 5G Technology Strategy Meeting with major carriers from China and Japan, in Seoul last week. Representatives from KT, China Mobile and NTT DoCoMo attended the meeting to discuss 5G commercialization strategies and specialized technologies. The company also showcased its latest 5G innovations at the MWC Americas 2018, held in Los Angeles. The company was the sole telecom participant from South Korea. It promoted its 5G technologies, services and partnerships with global Information and Communication Technology (ICT) companies during the event. The Korean telecom leader is sharing its expertise in 5G with the rest of the world in order to accelerate the commercialization of next-generation wireless connectivity. The company debuted the world's first 5G trial services it showcased at the PyeongChang Winter Olympic Games in February. It made a presentation on the successful trial network, along with a roadmap to commercialize 5G, to participants of the GSMA Mobile 360 Series 2018 Conference in Bangkok. In August, the International Telecommunication Union (ITU) approved KT's plan for 5G trial services, such as Sync View, 360-degree Virtual Reality (VR) live streaming, and Omni Point View, which were showcased at the PyeongChang Olympics as an international standard. The approval has provided leeway for KT to commercialize 5G and develop related services. As a global leader in 5G, KT is actively seeking to expand collaborations with innovative ICT companies around the world. The 5G Open Lab has already attracted major local and global corporate partners, including Samsung Electronics, Hyundai Mobis, Posco, Intel, Ericsson and Nvidia. KT plans to forge 1,000 partnerships by 2020. It also has recently signed agreements with Intel and Qualcomm to cooperate in preparing commercial 5G services. A commercial 5G network in South Korea is expected to create at least 30.3 trillion won in socioeconomic value in 2025, 1.5 percent of the country's gross domestic product (GDP), according to a report released in July by the KT Economic and Management Research Institute (KT EMRI). The report forecasts that number will increase to at least 47.8 trillion won, 2.1 percent of GDP, in 2030.